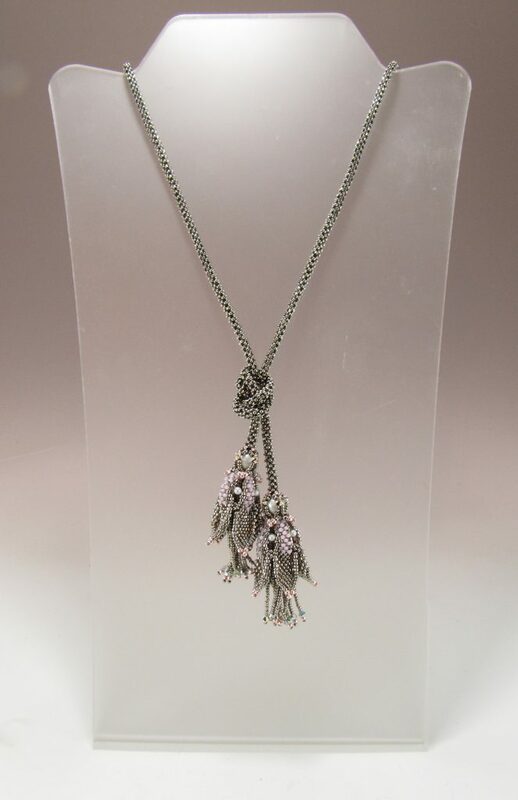 This elegant winter lariat project is quick to finish and comfortable to wear, a piece that goes well with many outfits with its neutral nickel tones and just hints of peachy-pink color. 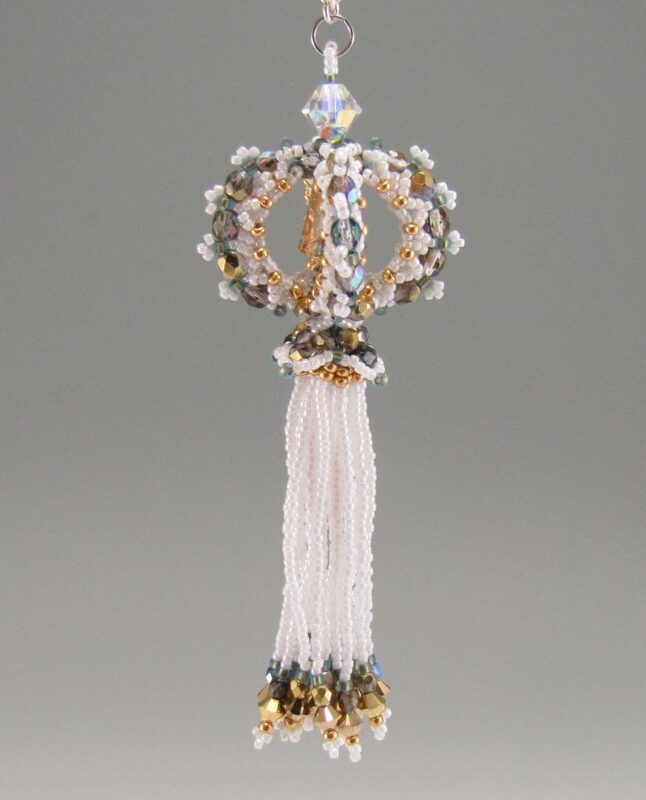 You’ll one color of size 15o seed beads, two colors of size 11o seed beads and one color of size 11o cylinder beads, SS12 rose montees, 3mm and 8mm pearls, and 3mm bicones plus a beading needle and thread. I recommend using nylon thread for the fringe and Fireline for the rest of the lariat. 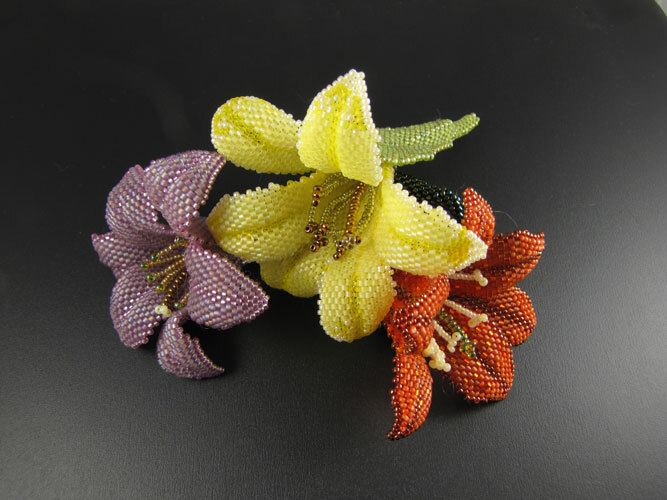 Learn how to stitch these colorful lilies using only basic peyote stitch! This project takes about 3-4 hours to complete. 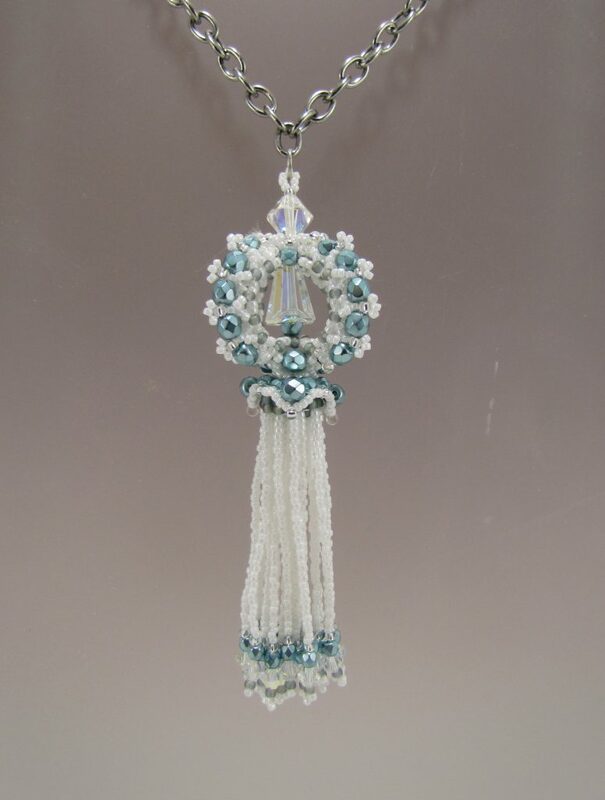 You’ll need several colors of size 15o and 11o seed beads and size 11o cylinder beads, plus a beading needle and thread. I recommend using nylon thread to give the flower petals some softness. 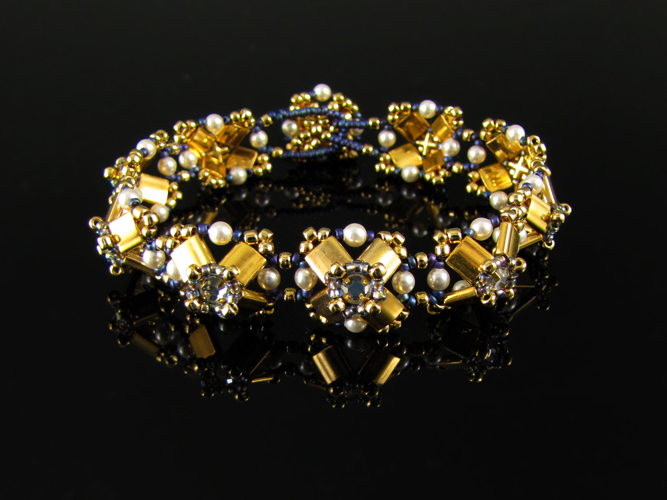 Explore this bracelet with a 3D image that is the next best thing to holding it in your hand. See where all the different kinds of beads go in the interactive 3D model. Video demonstrations accompany each step-by-step diagram and instruction. 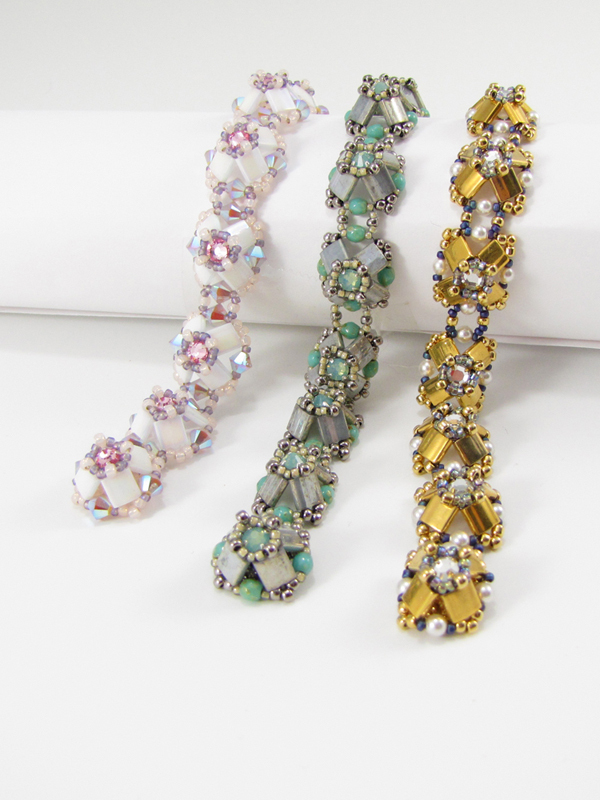 See what the future of beading patterns is all about! It is best to view the PDF offline: save the file to your hard drive to view. Right click the link then go to “Save as” and save the file in a place on your computer you can easily find, then once it’s downloaded, find it on the computer and open it to view. Note: it may take some time to download, it is a very large (300Mb) file. 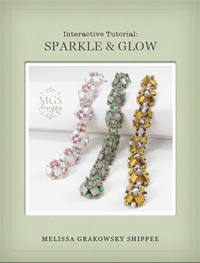 Download the static version of “Sparkle & Glow” (For those who cannot download the large file above). Note the videos and interactivity do not work in this version. 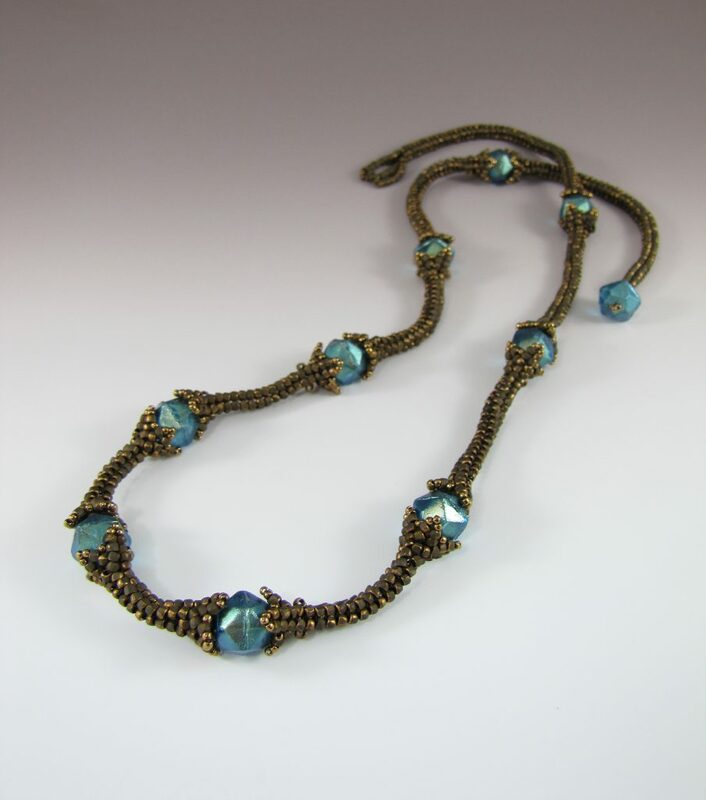 This necklace features 13mm antique cut beads (also called English cuts) from Perry Brookstein plus unusual Japanese 8/0 cut beads and 11/0 seed beads. If you cannot find these unusual materials, you can substitute the more common 10mm antique cut beads, 11/0 seed beads, and 15/0 seed beads. 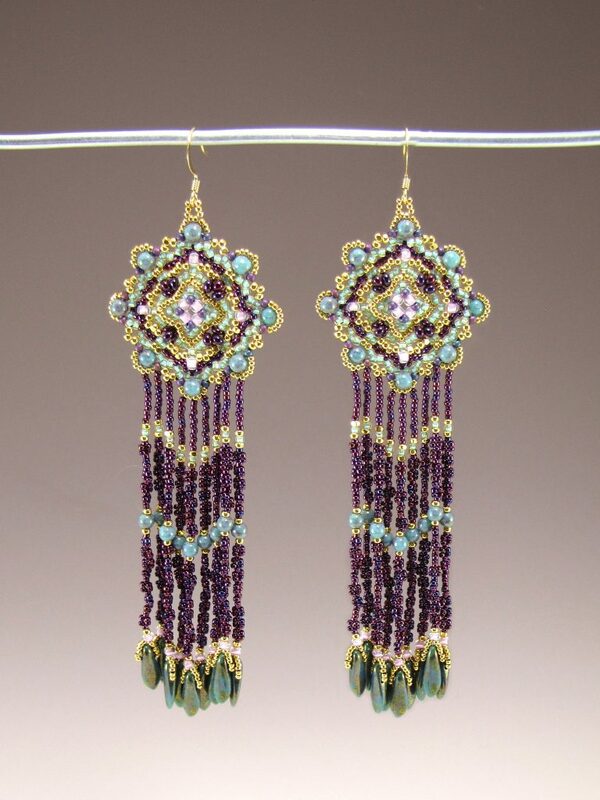 Designed for Toho for a demonstration at the 2015 Bead and Button Show, these earrings feature many Toho seed beads along with Czech two-hole daggers and 4mm rounds. 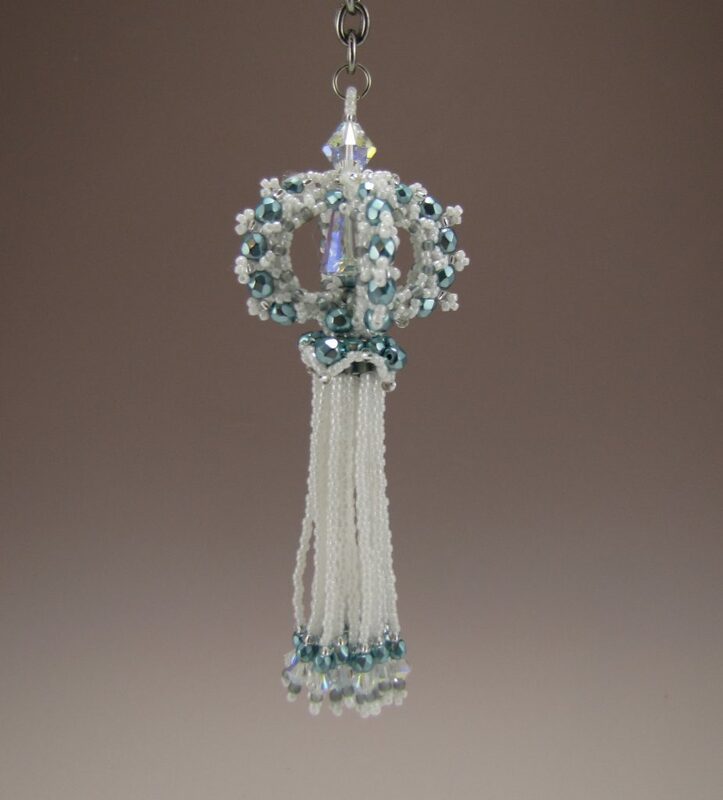 The technique is very simple, you work from the inside out using a combination of peyote stitch and netting to build up the medallion shape. Try them out today!